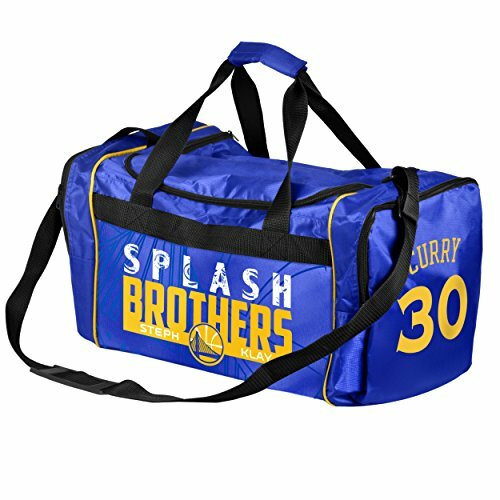 Show your warrior team pride with this "splash brothers" core duffle bag featuring Stephen curry & Klay Thompson. Bag has 2 side zippered compartments, zippered main compartment with 2 carrying handles. Measures approximately 21" x 11" x 11"